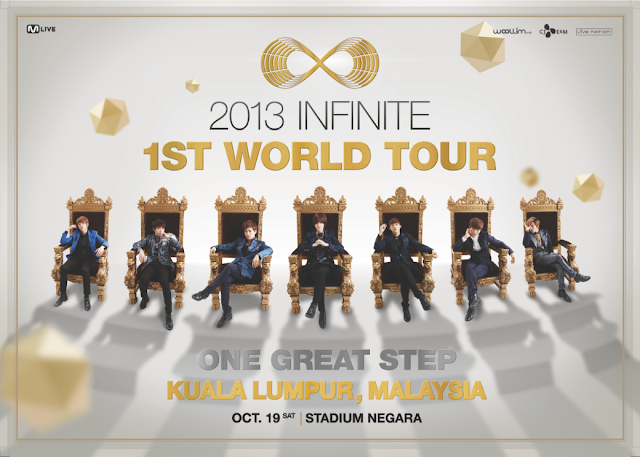 Finally, after Woollim Entertainment release some cities of 2013 INFINITE 1st World Tour “One Great Step” Concert - for example Hong Kong, Japan, Thailand, Taipei, Indonesia, and Singapore. 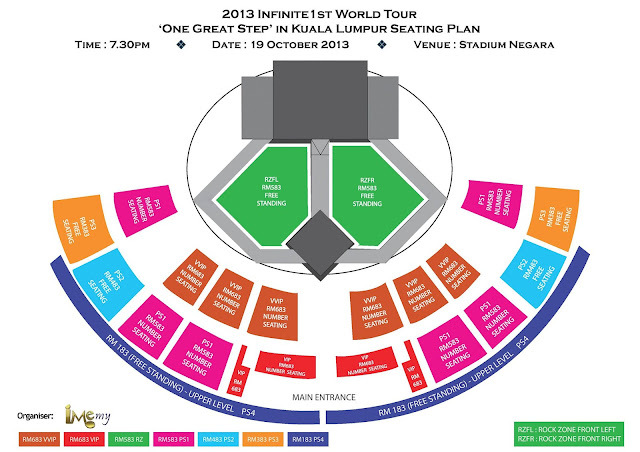 Now, they're officially announce date of INFINITE Concert in Malaysia. INFINITE will be hold 2013 INFINITE 1st World Tour “One Great Step” Concert Live in Malaysia on 19th October 2013 (Saturday) at Stadium Negara, Kuala Lumpur, Malaysia. This concert will be organizer by IME Production. 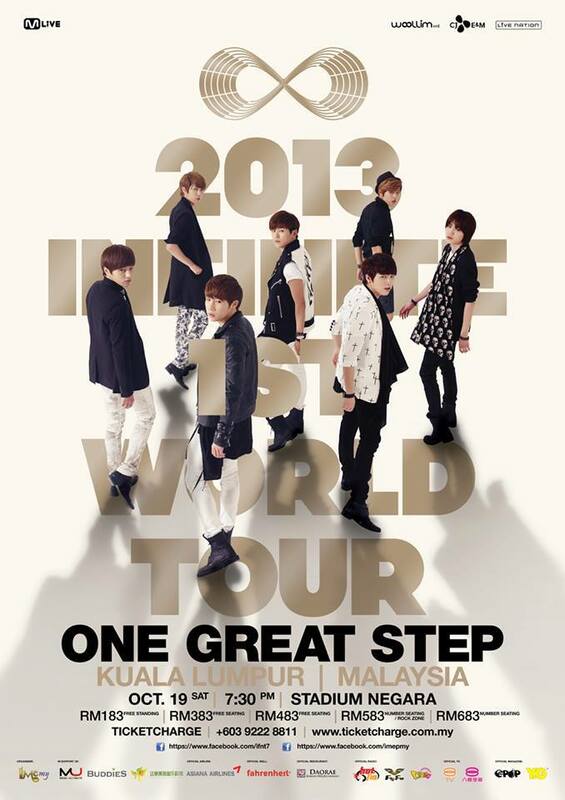 Here, the official poster of 2013 INFINITE 1st World Tour “One Great Step” Concert Live in Malaysia. As I'm promise!! Now I update the latest news about this event!! * Ticket launch will be held on August 25 (Sunday) at Fahrenheit 88 Shopping Mall from 11:00a.m. till 4:00p.m. Every ticket comes together with a limited edition concert poster (only for ticket launch day in Fahrenheit mall) first come first serve basis !! Online sale will start from 4pm onward via TicketCharge website and music store outlet!!! Hint - this concert place is same place with CN Blue The Blue Moon Concert Live in Malaysia 2013. Mark your calendar now!!! Wow!!! Confirm I will buy VVIP ticket!!! Who want to join me?? ?